We have carved a niche amongst the most dominant names in this domain, involved in providing superior quality range of PP File Folder. 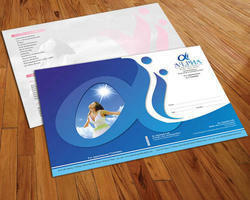 Our company has created a niche in the field of offering File Folders. Pagoda blue and green No.619 PP Handle Lock Button Bag. Bestowed with the vast knowledge of the domain, we are able to offer our clients PP Conference File and Folder. Backed by our qualified experts, we are offering a wide range of PP Document Files. Our products are widely identified in the industry for their standard look and sturdy nature. These products are used in residence and commercial areas. Moreover, this product is available at small prices. Product description: This file is especially designed for LIC agents. 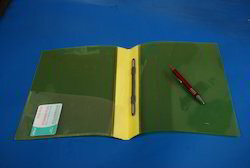 We are also engaged in manufacturing PP Corrugated Folders. These are widely used for storing various documents and light items for the purpose of parcel, post and express. The stored items in the folder are perfectly safe during transits, since these are tightly packed and closed.